HÀ NỘI — The Tây Hồ Urban Development and Investment JSC has asked for permission to build an underground parking lot in Hà Nội’s Cầu Giấy Park. The parking lot would have three storeys, the first of which would be used as a trade and service area with an area of 12,000 square metres. The second and third storeys would be used to house 820 cars, covering an area of about 29,000 square metres. The project would have total investment of VNĐ565 billion (US$24.4 million). The area is currently used as a community sports ground. A company representative said there was a serious shortage of parking places in the area. A nearby lot was only able to handle 480 vehicles, so about 680 vehicles were forced to park on the pavements. The underground parking lot would solve the problem, he said. Previously, the company was assigned to build an underground parking area in Trung Yên Park. However, the geology of the park and opposition from 60 households in the area had led to the project being halted. The company later asked the city’s People’s Committee to switch the location of the project to Cầu Giấy Park. Many local residents have raised concerns about the project, saying it was ‘unnecessary’. Trần Thị Ngát, resident in Dịch Vọng Ward told Giao Thông online newspaper that most residents did not agree with the plan of building an underground parking lot. “It’s totally unnecessary as we have a five-storey outdoor parking area and underground garage for parking at every building,” she was quoted as saying. Lê Phi Phụng, another resident, said the ward’s People’s Committee was sent a survey completed by 341 households at apartment building N10 Hà Đô. Most expressed disagreement with the project. Phụng said the height of the parking lot would be 9 metres, which was quite high for the underground parking lot. Hà Nội’s Department of Planning and Architecture has asked the enterprise to continue collecting opinions from local residents in the area and consult with Cầu Giấy District’s People’s Committee and the Department of Construction to ensure the feasibility of the project. 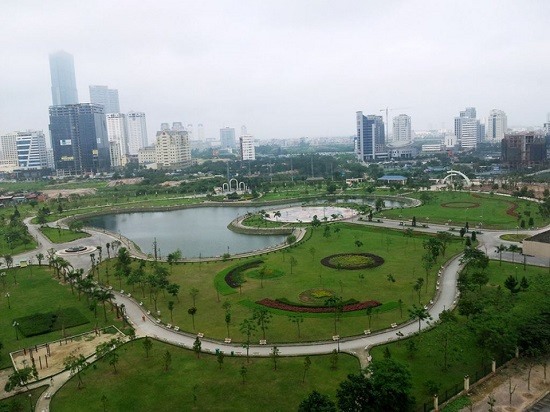 In 2010, Hà Nội planned to build underground parking areas at Quần Ngựa Stadium, Thủ Lệ Zoo, the Cultural Friendship Palace, Reunification Park, Youth Park and squares near the Opera House to solve the shortage of parking in the city.